Oven mitts are indispensable in the kitchen. Without them, you will have a hard time transferring a hot pan to the countertop or expose yourself to potential burn injuries because your hands are not sufficiently protected from hot pots. 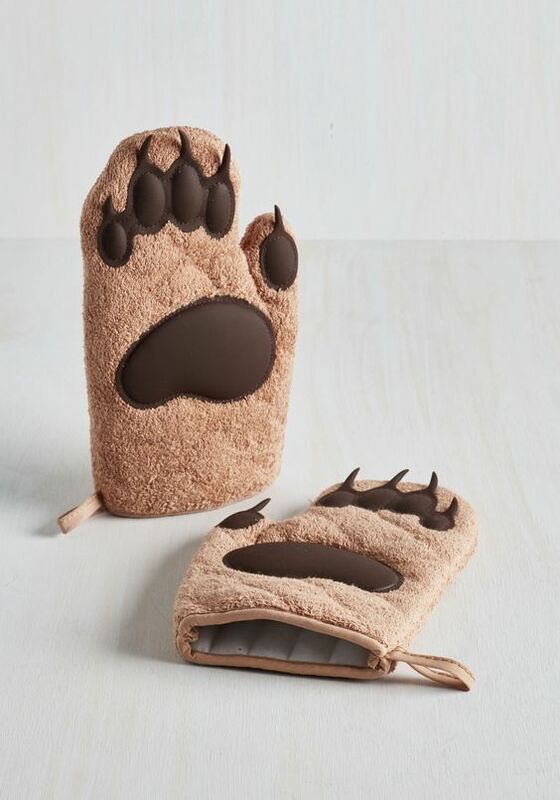 Thankfully, we won’t run out of oven mitts any time soon. In fact, more and more technologies for oven mitts to provide further protection for the hands are available. 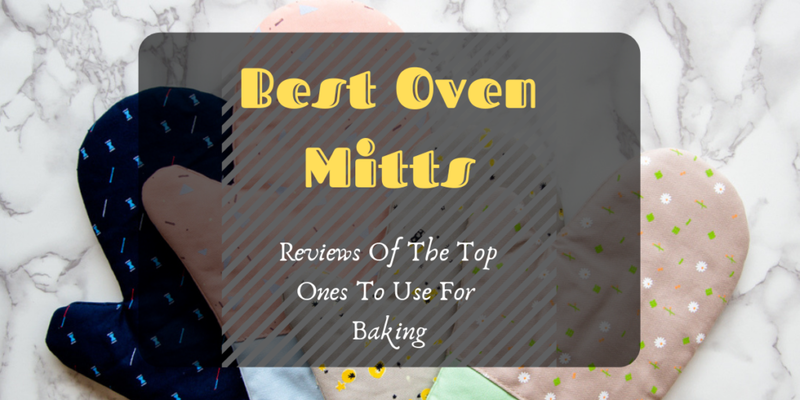 If you are looking for the best oven mitts that can protect your hands from high heat but are easy and comfortable to use, you came to the right place. We checked out what the market has to offer and made up a list of those products that you can rely on to protect your hands from severe burns but will still ensure that they are flexible enough to be used for handling pots and pans. These are made from fabrics such as cotton and incorporated with a batting to fend off the heat and protect your hands from burns. Because of the material, it’s not the best when it comes to heat protection. While it is still good as a basic oven mitt or all-around mitt for cooking, if you are looking for something that can provide superior protection for higher temperatures, try something else. Fabric oven mitts also require cleaning and maintenance as they can become prone to stains and frays. Be careful not to get a fabric loop near the fire from the gas range as this can easily catch fire. These are also prone to moisture retention, which can lead to the appearance of molds and the propagation of bacteria. These oven mitts are manufactured from high-grade silicon material. This is a kind of material that boast of superior heat resistance. Additionally, they are easy to wipe and clean. They don’t retain moisture that can cause bacteria and molds to grow. Many silicone oven mitts also have textured surface, giving users a better grip on pots and pans. Kevlar is a material known for its superior protection. Used as an oven mitt material, this can protect your hands from burns much better than other materials. It can even be used to protect your hands from the heat of an open roasting pit or serve as a protection when chopping tough ingredients. They are, however, more expensive than a regular oven mitt. 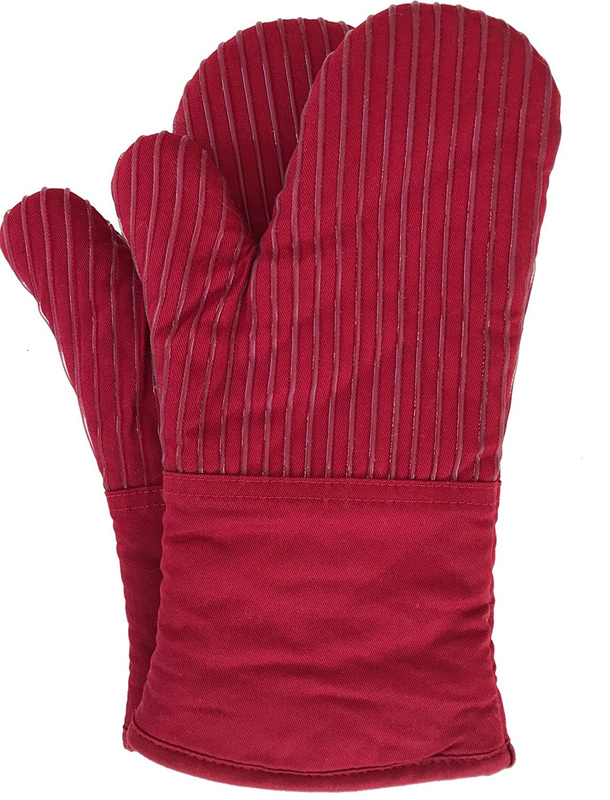 Crafted from Nomex material, these oven mitts can provide protection of up to 450 degrees temperature. Some brands or models can provide protection from steam or hot vapors. You can confidently hold hot vats, pots and many other containers with this oven mitt. Made from 100% FDA-approved silicone, this product will surely provide you with the protection that your hands need from hot pots and pans. 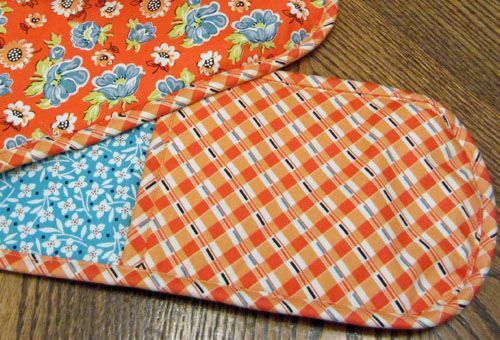 The pads have a lifted pattern, which provides you with more grip and prevent pots and pans from slipping. It is capable of protecting you from temperatures as high as 482 degrees Fahrenheit and can also protect you from steam, splatter and hot water. The inside of this product has quilted liner that is a blend of polyester and cotton. The outside part is made from 100% cotton material. It is long enough to protect your arms. The entire oven mitt is 13.5 inches in length and 5.5 inches in width. It comes in different colors as well. Choose from charcoal grey, blue, red and black. These are flexible and easy to use. You can pick up pans and trays with ease. The inside is soft. It doesn’t chafe the skin. Some said these are too big and too long for them. If you have short hands, you might find these too long for you. Save some money and get this pair of silicone oven mitt that boasts of superior heat protection and durability. Getting pots and pans out of the stovetop or the oven is now easier, thanks to this pair of oven mitts. These mitts are made from silicone materials, hence the ability to protect the hands from heat. Despite being made from silicone, these are surprisingly flexible and comfortable to use. These mitts even boast of breathability. You can choose from two lengths: the 13.7-inch one and the 14.7-inch one. Go for the latter if you require more protection for your hands, which might be the case if you need to reach into your oven more. It is capable of providing protection from heat as high as 450 degrees Fahrenheit. You will love how many color options you have with this mitt. Choose from 8 different color choices – black, sage, red, grey, tan, aqua blue, beige and rust orange. You can easily match this with your other kitchen tools, accessories and equipment. It is also capable of protecting your hands from high heat levels. Your hands can get protected from up to 500 degrees Fahrenheit of temperature. It is also long enough to protect your arms, great for pouring hot water and protect your hands from steam. The grip pad is ribbed, allowing a more secure grip when you hold handles of pots and pans. Don’t miss out on the benefits of this oven mitt that has the ability to protect your hands from heat as high as 480 degrees. You can safely remove your food from the oven or tend to your grill with this in tow. The ridges are made from silicone, but the rest of the material is terrycloth. It has a recycled cotton filling. With 12.5 inches in length, you should not have to worry about your arms getting burned by steam or splatter of oil or water. The interior feels comfortable and doesn’t chafe the skin. The materials used all have good quality. 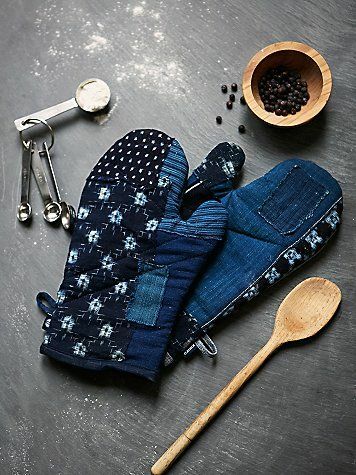 This oven mitt is made from silicone and cotton twill. The combination of these two materials gives the oven mitt good comfort and protection from heat. 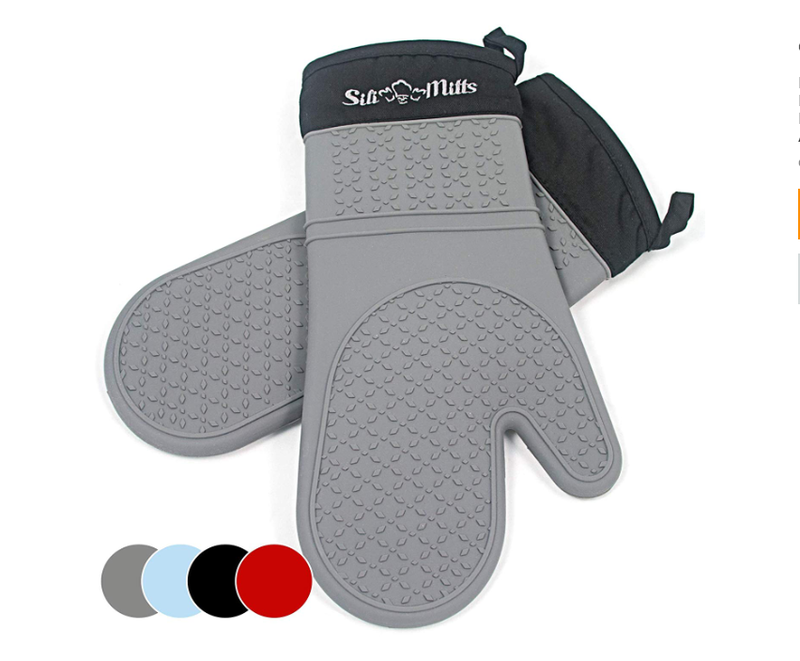 Both sides of the oven mitt have silicone materials, thereby making this ideal for left-handed and right-handed people. It can protect you from up to 500 degrees of heat. With its 13 inches of length, this should be long enough to provide protection for your arms. It can be washed in the washing machine. Have you decided which one to get already? Let us help you out even further. More Expensive but Worth It: Frux Home and Yard Extra Long Professional Heat Resistant Pot Holder. This might be a little bit more expensive than the others, but it is definitely worth buying because of how heat-resistant it is. Many also commend how comfortable and flexible it is, ideal for those who are cooking or baking all the time. Great Length: Homwe Extra Long Professional Silicone Oven Mitt. Although many mitts these days are already long, this one offers extra length. You can get the longest option they have if you prefer more protection for your arms, especially when doing a lot of grilling and you deal with flare-ups a lot. Ideal for People with Smaller Hands: Cuisinart Silicone Oven Mitts. This is the recommended oven mitt for people who have smaller hands or those who find other oven mitts out there too big and cumbersome for them to use. Best of Both Worlds: Big Red House Oven Mitts. Do you like the flexibility of cotton but want the heat-protecting benefits of silicone? Get this as it can offer you both benefits. It provides a good protection from heat. Made from the finest materials, this pair of oven mitts will surely bring satisfaction for many more years to come. Cheap Choice: Honla Silicone Oven Mitts. Go for these mitts if you are looking for one that will not break the bank. Even though it is cheaper, it still provides a good amount of heat protection. Find out what its maximum heat protection is. Those incorporated with a silicone layer will provide more adequate heat protection as this material has good insulation properties. Find out where the silicone layer is integrated. In some cases, it is only incorporated in the lining. Can your hands fit in properly? If it’s too big, it might not be easy to grip the handles of pots and pans. If it is too small, you might not be able to fold your hands easily. Also make sure it has an interior lining that does not chafe the skin. If the material is too rough, you might feel uncomfortable every time you use this. Check the external part of the mitt and find out what material it uses. Some silicone material might be slippery, this is why you should look for those with raised patterns for extra grip. When buying, look for those that you can use for right or left hand. Many silicone oven mitts have raised grip patterns on both sides, which make them easier to use no matter which hand is your dominant one. You might think an oven mitt is just a simple tool in the kitchen but try using one that has poor insulation and you know how inconvenient and potentially dangerous it is to use a low-quality one. With the products mentioned above, you never have to worry about getting your hands burned. Also make sure you check out our homepage for more kitchen products to buy. You can find recommendations on kitchen tools and equipment that will help make your life more convenient.